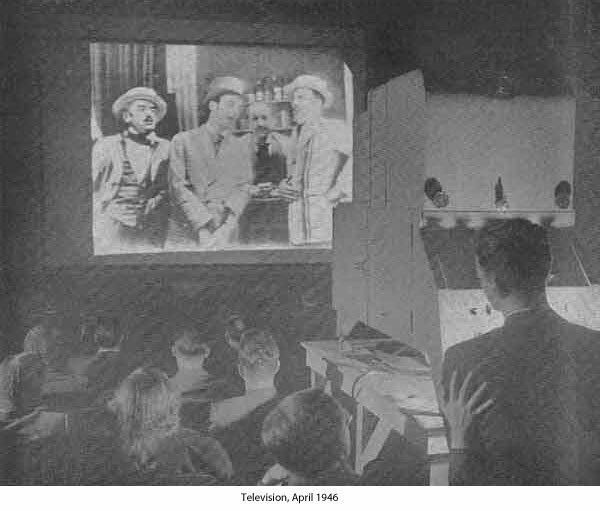 Rauland purchased the U.S. susidiary of J. L. Baird's company that was developing theatre television in 1942. 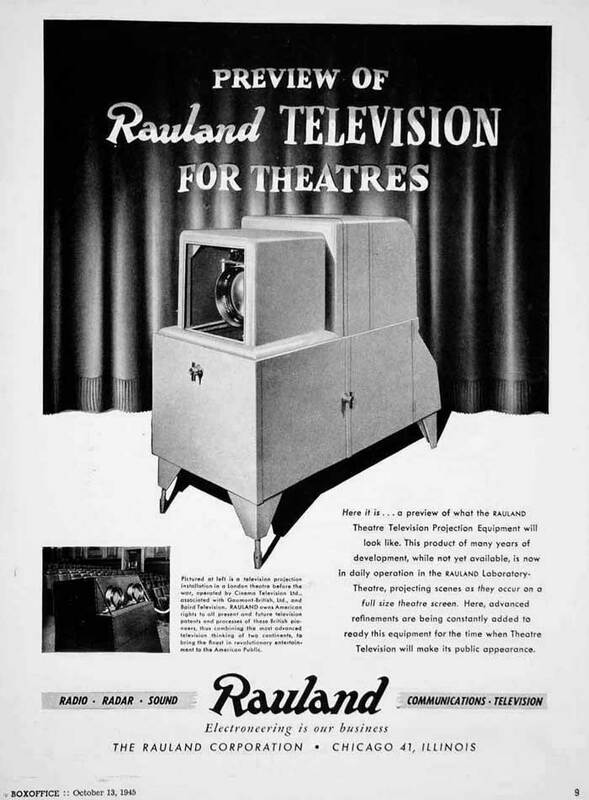 It partnered with General Electric in 1946 to demonstrate theatre television. Rauland provided the projection equipment, while General Electric provided the microwave transmission equipment to deliver video to the theatres. We have a Baird/Rauland projection CRT at the museum.